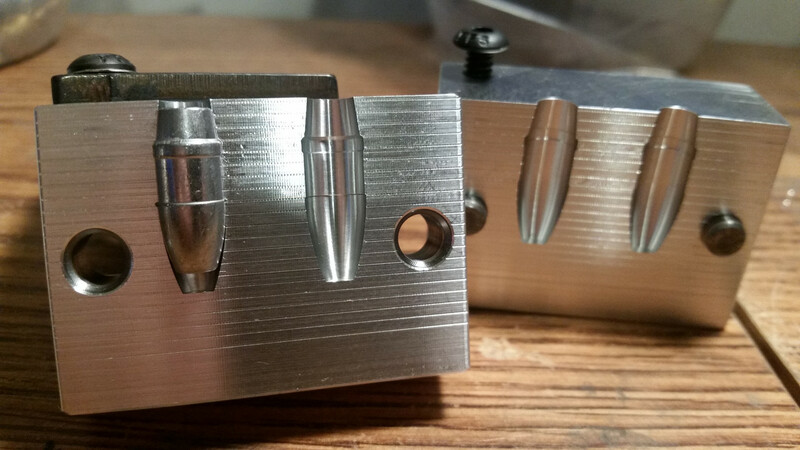 I just ordered a 2 cavity .308 154gr BBT mold for NOE. Should be here next week. Once I get some cast and tested I'll post it up. Quick delivery for the mold. I laid one of the 135gr BBT's into the mold just for comparison. Had a casting session this morning. The new mold is dropping these at .311/.312 on the lower band and .309 on the upper surface. I purchased lead from Rotometals in the 1:40 to cast these. Weight is 150.5gr. Yes, Steelhead is sniffing around. I've considered pouring my own; I already have the lead pot and equipment for making spoons and jigs for fishing. In all honesty, I'm still working on more tangible things like which size bullet my gun likes to eat, specific air pressure for best performance, etc. 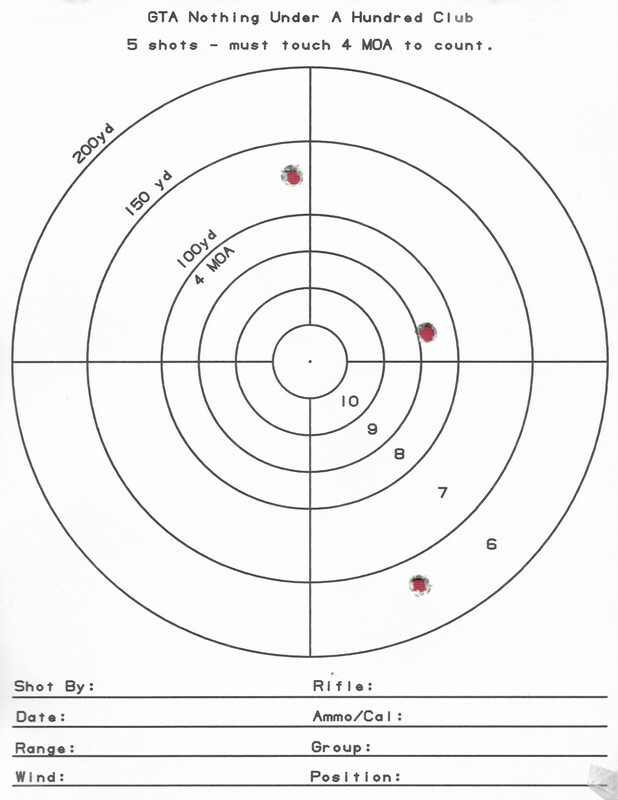 There's so much more for me to learn about performance, accuracy, and shooting technique. When I first got my gun a year and a half ago I was making too many changes at once and it was hard to keep track of what was working and what was not. When it comes to bullets for my .308 Texan the most consistent and accurate have been 118 gr. cast flat point. That being said, there's something to be said for the satisfaction of making your own projectiles... much like tying your own flies, building your own lures, etc. I tip my cap to those that do because they've already acquired the basic skills of how to tune/work on their gun and how to use the data that the gun is feeding them. If you had a .457 or .458 I could share a ton of lead to experiment with. It's hard to not get obsessed with pouring your own bullets. Got them sized. Tested to make sure they would chamber and all is good. I changed the spring in the rifle from a 12.5 lbs spring to a 15.9. Hopefully the rain will stay away long enough for me to shoot them over the chrony. Ok I had to wait another week before I got to test them. First string was no preload. I forgot to write it down but I do remember the first shot was 811fps. I seen I was not going to get more than 3 shots per fill and only shot 3 round strings from there on. The target posted is the last string at 100 yds. Windage was good but drop due to velocity is seen. First shot high, second dead on, and third low. I need to get an unregulated bottle so I can fill to 3000 even. This Ninja sometimes fills to 3000 and sometimes only 2900. Most of the time it's 2950. 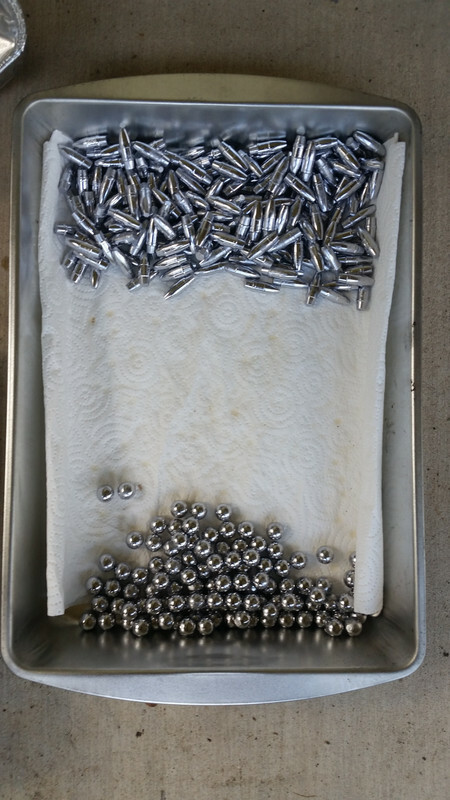 I'll also weight the bullets to make sure they are consistence. I was just getting random bullets out of the bag. 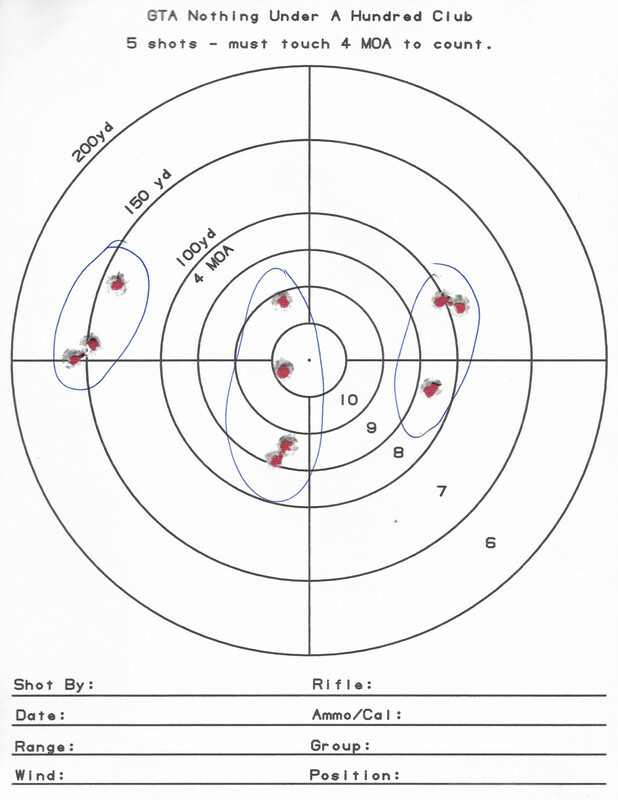 The good news is that I don't see any keyholing, which is surprising with that slow twist rate on such a long bullet.... A target at 200 yards may show a different story, of course (or may not)…. That was the only target I shot at 100yds. When I was tuning at 50yds I could see it doing a vertical string but not as bad. I aimed for center on one string and to the left and right on the other strings.